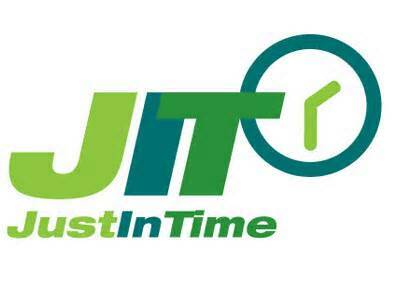 Many are aware of Just In Time (JIT) manufacturing. It was originally invented by Toyota Motor Company and then copied elsewhere. This is one of the principal tenets of lean manufacturing, the technique of manufacturing with a minimum of waste. The most powerful piece of JIT is inventory control. Inventory is kept slim at each juncture of the manufacturing cycle and made available only just in time as needed. Similarly products are made only as needed, thus minimizing finished goods inventory. JIT is powerful and the principles go beyond the fairly obvious efficiencies in sequential assembly line type of manufacture. Goldratt broadened it into his Theory of Constraints as first detailed in his extremely readable book The Goal. In all of the discussions in the past manufacturing has been defined by large plants that make and then distribute products. We will discuss here a relatively new concept: make it when you need it (just as in JIT), but also right where you need it. I call it Just In Place (JIP) manufacturing. Almost by definition JIP entails smaller plants. This flies firmly in the face of the engineering principle known as Economies of Scale. Larger plants are simply more efficient per unit of production. Consequently, we are presented with the engineering challenge to ameliorate this effect. Certain endeavors, such as production of vehicles, will simply not meet the criteria. Electricity production using solar panels fits like a glove. In fact, one could argue that solar power ought to be distributed to take advantage of the inherently valuable feature, and not be force-fed into large solar farms. JIP plants will enjoy the economic advantage of reduced distribution infrastructure. In the limit, as for example of transport fuel produced directly at a truck stop, the infrastructure is essentially zero. This brings us to the question: which products may inherently be better suited to JIP? Rather than taking a crack at a generic argument, we will discuss two examples, both in the transportation sector. Cheap natural gas in North America has emboldened the displacement of gasoline and diesel with natural gas. To the extent that methane is used directly in the engine, the production of the fuel simply entails tapping into the natural gas infrastructure, which is extensive. If compressed natural gas (CNG) is the fuel carrier in the vehicle, it can be filled at a service station. But if the more energy dense Liquefied Natural Gas (LNG) is required, as it would be for long haul trucks, distribution infrastructure for LNG becomes an issue. LNG is conventionally made in massive plants and refrigerated transport over great distances could be prohibitive. Each normal LNG plant produces at least 9 million gallons per day. That is about 5.2 million gallons diesel equivalent per day (LNG has about 58% of the energy content of diesel). That is a lot of truck fill ups at 180 gallons a pop, so distribution will be needed to a lot truck stops. Mini LNG plants are slated for about 50,000 gallons per day. This is about 160 fill ups. Also the natural gas requirement is only 4 million cubic feet per day a manageable rate for most gas supply lines. A number of big players are after this segment, including Linde, Shell and GE. An ongoing study at RTI appears to indicate that if the newer nitrogen expansion cycle method of refrigeration is used, small scale plants could deliver LNG quite economically. Keep also in mind that preparing on or near the site for essentially same day use is a good deal cheaper on refrigeration than shipping over distances. This stuff is stored at -162 degrees Fahrenheit. Volvo recently announced a truck engine running on dimethyl ether (DME). DME is derived from natural gas and produces zero particulates when combusted. At current natural gas prices on a diesel equivalence basis it can be manufactured for far less than the cost of diesel. Volvo is teaming up with Oberon Fuels, a California company, who have designed plants to make DME economically on a scale over 100 times smaller than conventional plants. Although Oberon is the current leader, others are heading in the same direction. Some of these others are targeting the production of diesel from natural gas, a somewhat more difficult target than DME. One other tidbit. Smaller plants are easier to finance, are quicker to build and distribute jobs all over the country rather than in concentrations such as the Houston Ship Channel. Just In Place manufacture is on its way. Watch that space. Vik, is any company other than Oberon, pursuing biogas to DME? As a producer of biogas via anaerobic digestion, I’d prefer to produce DME rather than electricity. Mark: At this time the only other company believed to be as far along as Oberon is R3Sciences. Two others are along the way: GasTechno and General Methanol. Most of these may mention methanol not DME, but that is a simple next step. For monetizing biogas, either methanol of DME would have more value than electricity. But, of course, the additional margin comes with more process baggage. The Oberon device is scaled for using about 1.3 million scf per day. So your output needs to be around that or more. CNG is the choice for fleet operations, as demonstrated by its expanding use in public transportation – public and school buses – and private operations – Waste Management, FedEx and UPS. Long Haul truckers have begun to make the transition to LNG with the new Kenworth and Sterling engines. Flying J has made more of its stations LNG suppliers to truckers nationwide. Truckers set the pace for our future transportation energy needs. As your localized JIP production processes become economically viable for LNG, this could be the breakout needed for the next major reduction in crude imports driven by demand transition. In the private vehicle marketplace, the Honda Civic CNG car is now joined by the Chevy Silverado 2500, the Dodge Ram 2500 and the Ford F-250 pick up trucks. Refueling in your garage is happening in Atlanta today. Finally, here is a connection (http://www.cngnow.com/stations/Pages/information.aspx) to the four CNG stations in the Raleigh area. Prices range from $1.53 to $1.66. You can do the math to determine how quickly you will recover the added cost of a CNG engine (~$5,000). Input your average miles driven, the price and your new car’s fuel economy then compare these to your current cost. I estimate 2-3 years to break even. Forget about plug-ins. Imagine what prices will be a decade from now when your JIP/DME local production facilities drive the cost to drive down further. The gasoline engine may phase out entirely, as we follow the lead of nations entirely dependent upon CNG/LNG for transportation: nations such as India, Pakistan, Iran, Australia and Brasil. We have much to learn from our Southern Hemisphere brethren. Sorry your response got dumped by the spam filter and I just found it and posted it. I do think that JIP fuel will accelerate the displacement of conventional fuel. But I think the early big hits will be in diesel replacement in part because folks like FedEx can make the ROI calculation more readily than homeowners and in part because the bigger tank is less of an issue for a semi. Mini LNG will be a huge enabler. Expect also immediate action in short haul boats such as ferries and river cargo carriers. CNG in passenger vehicles may be slow until we get advances in improving volumetric density. Expect factor of two improvement within a couple of years, bringing with it low pressure systems which are cheap and easy to fill even at home. You are currently reading “Just In Place” Manufacturing at Research Triangle Energy Consortium.